Murder, crime and gore has often intrigued the masses. So it wasn’t surprising when Aarushi Talwar Murder Case became the topic of the nation. In what was a gruesome act, Aarushi’s parents were accused of having killed their blood child. As we face a new murder case of Sheena Bora, it comes as no surprise. But Aarushi Talwar murder mystery had gripped the nation for the longest time. Such was its effect that filmmakers were fighting to lay their hands on the intricate details related to the story. Amongst those filmmakers was director Manish Gupta who had planned a whodunit. The film titled Rahasya boasting of a stellar starcast, Kay Kay Menon, Tisca Chopra, Ashish Vidyarthi was stalled from releasing for 11 long months. It was a back-breaking legal battle for the director despite the film making no offensive statement against the Talwars. Destiny had it that the film be released. After a hasty release on January 30 this year, the film ran for weeks at a stretch. The film has been loved and lauded. As it readies for its World Television Premiere this Friday on Zee Cinema at 12 PM, we catch up with director Manish Gupta. After an arduous battle with the law, you released the film and it went on to garner all the praise and applause. 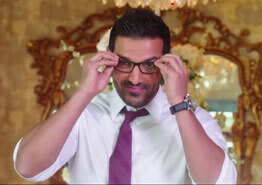 As the film releases for a wider audience with the World Television Premiere, what are your expectations? When your film is releasing on TV it will always have a wider audience. TV has a very high reach in interiors, in small towns, in villages, and the audience per se is much wider, so we are happy that a lot of people are going to see it. Also, when the film comes on TV the life of the film increases. The film will stay alive for at least 20-30 years now and we hope that Rahasya goes on to become classic which will be seen and appreciated even 20-30 years from now. We hope that Rahasya goes on to become like an Amitabh Bachchan film which we still watch and enjoy, that is what we are aiming at. The film was stalled by the Talwars as the script was inspired by Aarushi Talwar murder case. I wouldn't say Rahasya is inspired by the Aarushi murder case, I would say Rahasya's plot is similar to Aarushi murder case. Life imitates art and art imitates life so that is inevitable. So when I write a story it is inevitable that it won't be similar to some or other person or case in society, it will have a similarity to something or the other because I am writing about our society and writing about our surroundings. Having said that, Rahasya is a fictitious movie, it’s a suspense movie, a murder mystery, a whodunit, so it does not intend to pass a judgment on any case or any person whatsoever, that's the intention of the movie. But then again, the film’s subject is so intriguing that many filmmakers were vying to lay their hands on the Talwar’s version of the case, so wasn’t guarding the content a concern? There is no question of guarding the subject because Aarushi murder case is in the public domain so anyone is free to make a film on that. Now coming to the other filmmakers you spoke about and Aarushi's family you spoke about, actually a long time back Vandana Talwar had approached me and offered me two books written by her and she said we'd like you to incorporate these details in your film. And these two books show how their family is completely innocent and have been wrongly implicated by the CBI, so she wanted us to show this. I went through these booklets but I had anyway researched the case so I knew it. I told her I am not here to pass a judgment on anyone nor am I here to build a defense case for a convict or to help the prosecution, that’s what the judiciary will do, who am I to do all this. I am not here to influence the public perception on any case. I am here to make a good movie which will entertain people, which people will like watching over and over again that is the intention. So then she filed a case against us in the High court and we kept fighting for 11 months. 11-months is a long time. In that period did you ever feel that the film will never see the light of day? All of us had given up hope, in fact we thought this film will never release because of the case. But I was very adamant, I knew that I had made a very good film so I had to get it out. For 11 months I kept going to the court, I dealt with the lawyers and I convinced the judges that this film does not affect the family in any way, I have not used the real names and I haven't showed what exactly happened to the depth though the plot is similar, judge was convinced after 11 months. Judicial process takes a long time in India. The other filmmakers in question are releasing their film on October 2, the day of Rahasya’s World Television Premiere. Do you think that will affect the television viewership? Not at all. Like I said the audience is different. The theatre-going audience is different and the audience that watches films on TV is different. For example, I have never seen a full film on TV, I just don't have the time. I cannot sit through so many ads. There are audiences mainly housewives, kids, elderly people who watch films on TV so that’s the audience. Of course there is a common ground, people who watch on both the platforms but I don't think it really affects the business of either films. Had it been a theatrical release that happened simultaneously, then it may have made a difference. Despite all the legal issues, audience appreciated it and applauded it. (Yes,) Rahasya ran for 106 days and 15 weeks that is a big record for a small film which didn't enjoy any promotions. In fact, the distributors had a good promotion plan and a good distribution plan in place but it’s because of the case filed by Talwar family that they could not execute it. So we got only three days to promote the film because we were not sure if the film will release or not. The case kept swinging in their favor and in our favor, we were not sure what is going to be the outcome. Three days before the release date we won the case, so in those three days we started doing all the advertising and promotions. But because of the sheer quality of the film and by word of mouth it ran, it ran for so long despite no publicity. In a way we overcame all the difficulties but then because of the case as you can see where we would have had one month of publicity but we got only three days so it did affect the business in a large way. But then we got through and we got the appreciation. Can we say director Manish Gupta likes making noir, controversial cinema only? I like making realistic movies, not necessarily controversial. When I write a film I write about what I see around me, what I feel around me, what is happening around me I derive from that so it may become controversial but it is not intentional. But this is given that I am into realistic cinema. I am not into make-believe cinema or escapist cinema. I have never understood how escapist cinema happens. So my films are rooted in reality and they will continue to be rooted in reality. I may make a fantasy film someday but that will be an all-out fantasy film like in the west – Star Wars, Interstellar, - sci-fiction that are fantasy films so you know it’s also justified. Here, you know, we have too much of creative license so I am not into that kind of cinema. I stick to reality. 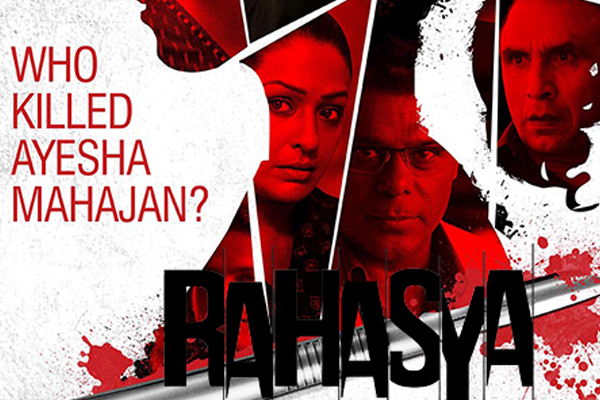 Rahasya is a film based on the gory murder case of Aarushi Talwar. To know the ‘rahasya’ of Rahasya watch the film only on Zee Cinema, October 2 at 12 PM. Things That Make A Prabhu Deva Film Absolutely Unmissable! 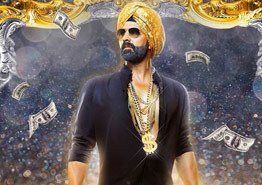 Bollywood Movies That Captured Punjabi Flavor At Its Finest!